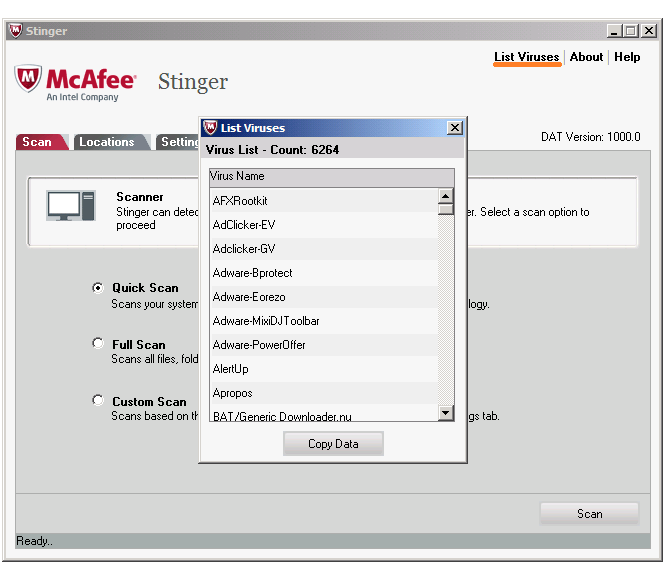 Stinger is a free antivirus that allows to delete thousands of viruses and Trojans. Although incomplete compared to traditional anti-virus, it remains not less interesting to have. The software is portable, it means that it requires no installation.